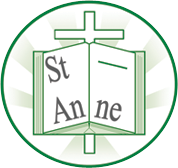 Welcome to St.Anne (Stanley) School’s information page for English as an additional language (E.A.L). 12% of children at St.Anne’s have English as their second language. Between them, they can speak ten different languages! At St. Anne’s, we want all of our children to reach their true potential. Being bilingual is an advantage, and it is important that children maintain their first language. Celebrating pupils’ culture and religion is important to us and enriches our whole school. If you have any queries or require further advice, please don’t hesitate to contact me.